If you are looking for a simple idea for Christmas decorations last minute, this idea will surely appeal to you. 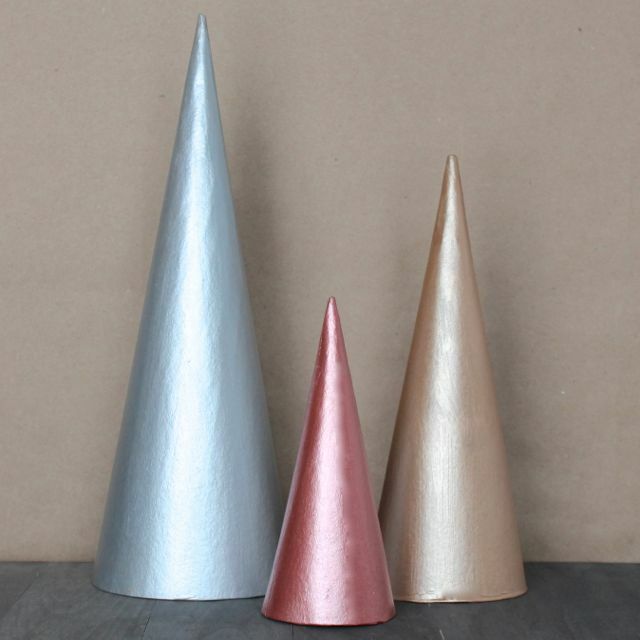 Cone-shaped Christmas tree look very impressive and they are very easy to do. 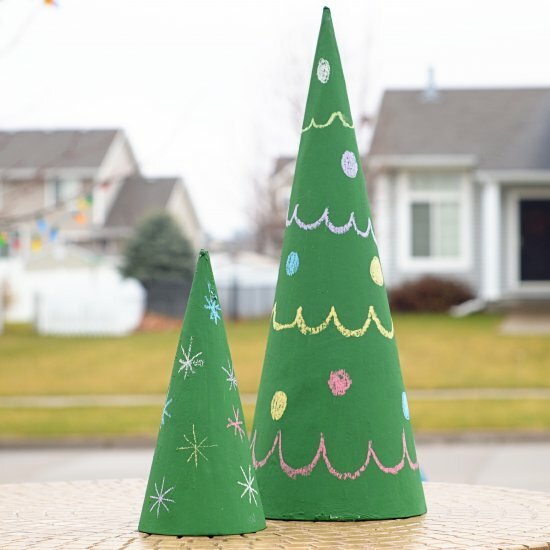 In today’s article you will find 10 DIY projects, how to make a beautiful Cone-shaped Christmas tree. Under each photo you can find a link to the instructions. 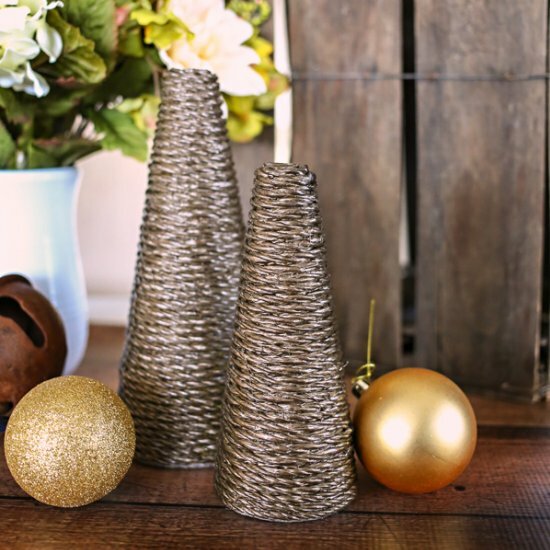 Metallic Rope Trees. These trees were so simple to make and look beautiful. Glitter and Lace Christmas Trees. 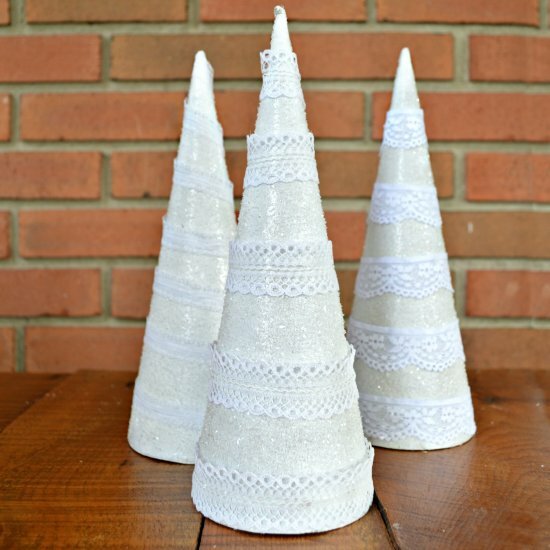 Turn paper mache cones into glittering Christmas trees with glass glitter and lace trim! Chalkboard Christmas Trees. Kids will love it. 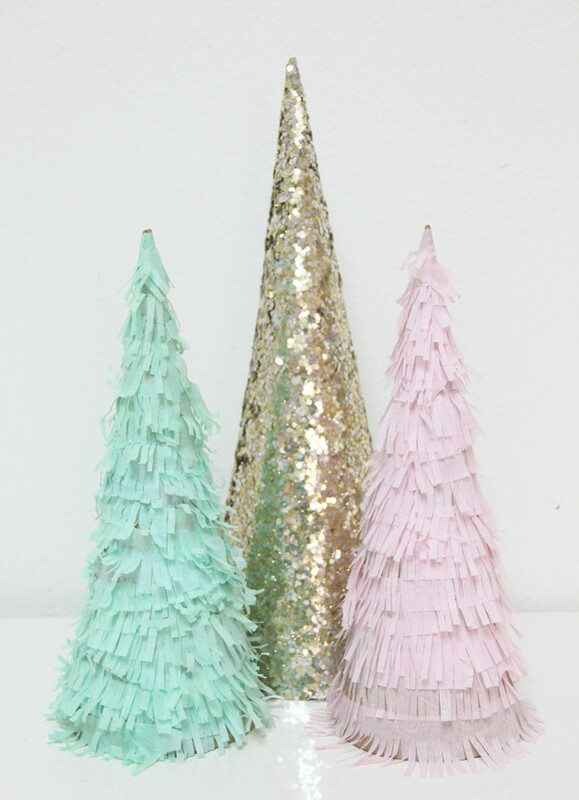 Glitter Christmas Trees. 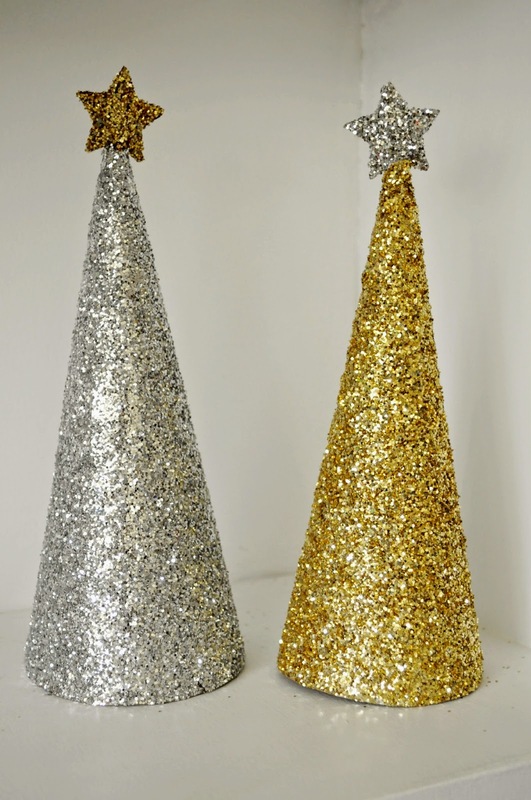 Add a bit of sparkle to your Christmas decor this year with these simple glittered trees. 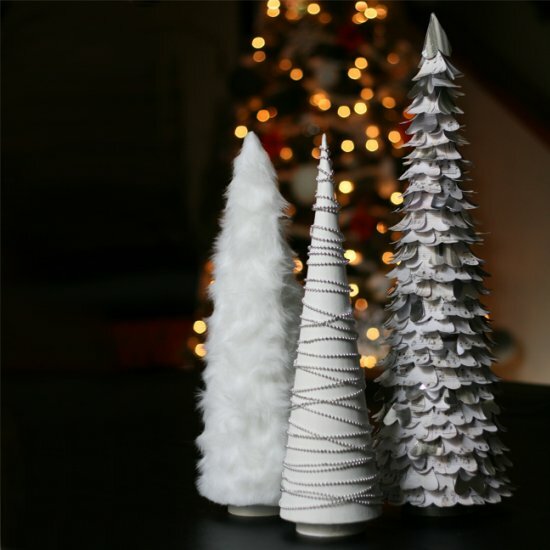 Glam DIY Christmas Trees. Easy to make with fur ribbon, beads, and scrapbook paper. 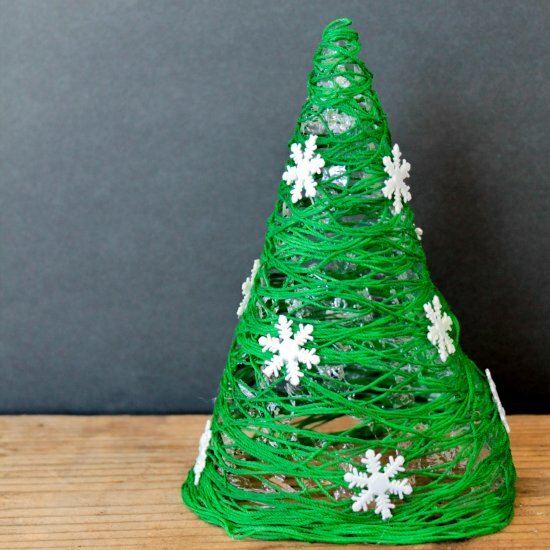 Green String Christmas Tree. Simple, inexpensive and fun to create it. Fringe Christmas Trees. Easy and a pretty soft palette for the christmas! 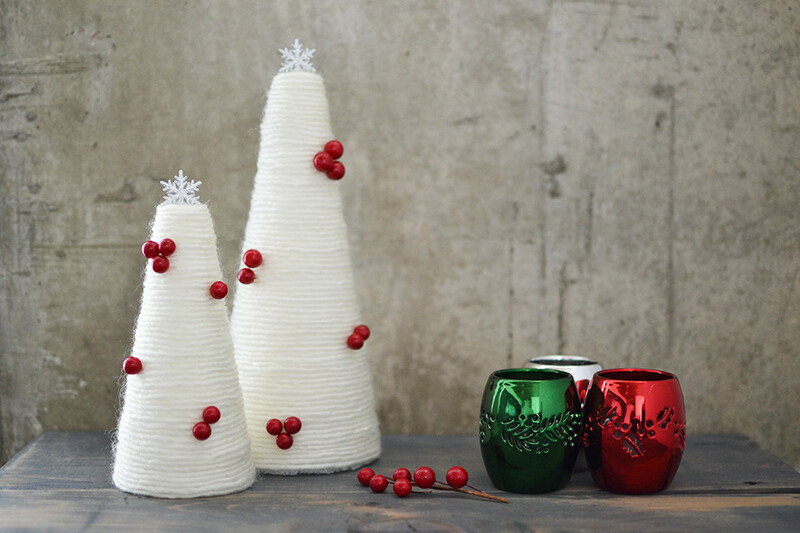 Yarn Trees. I love the modern look of the tree and the simplicity of it very much..
Modern Metallic Trees. These sleek, modern trees are easy and inexpensive. Gold Leaf Trees. 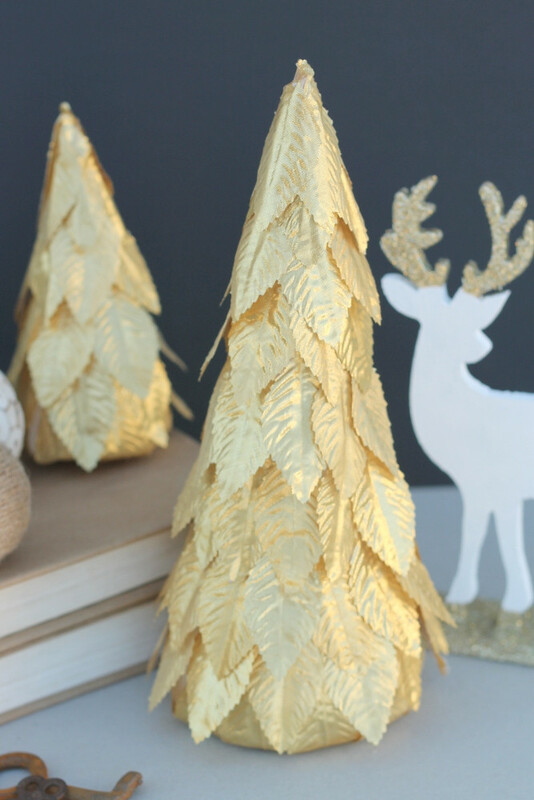 Super simple gold leaf trees will add a touch of elegance to your holiday decor.